Founded by Ajayraj Singh Chauhan in late 7th century AD, Ajmer is known to be rich with history and culture. A compact city surrounded by the Aravalli mountains , Ajmer is an absolute must-visit for any traveler setting foot in Rajasthan not only because of its well known landmarks but also because of the city's residential and market areas which till date bear the signatures of the artisans of the Chauhan era. Apart from being home to the world famous Ajmer Dargah , the city is also known for it's distinctive back alleys and narrow walkways which makes it easy for travelers to navigate through the crowded market areas and religious zones on foot. Set in the royal heartlands, Bijay Niwas Palace is a century-old former residence of the Masuda royal family, which is now converted as a boutique hotel spreading Rajasthani hospitality. 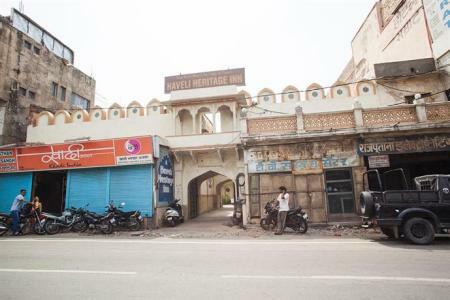 Hotel Bijay Niwas Palace, located in Bijay nagar in Ajmer, is approximately 190 kilometres from both Jaipur as well as Jodhpur Airport, 67 kilometres from the Ajmer Railway Station and 6 kilometres from the closest town, i.e. Bijaynagar. The Pratap Palace A Keys Resort, situated away from the bustling city on the Ajmer Bypass Road, features 80 ergonomic and luxurious rooms fitted with modern conveniences. 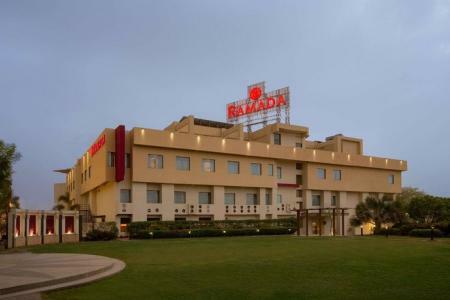 The hotel is in close proximity to Ajmer Sharif Dargah (13.4 km), Anna Sagar Lake (10.4 km) and Brahma Temple (11 km). Nestled between the Aravalis, Pratap Palace A Keys Resort is no less than a paradise and is well-suited to both business and leisure travellers. The Kuchaman Fort is located in the heart of the city, just 7 kilometres away from the Kuchaman Railway Station. It is 100 kilometres away from Ajmer and 110 kilometres away from the nearest airport at Jaipur. 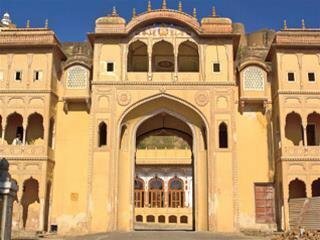 A five star heritage resort, Kuchaman Fort is a unique architectural splendour with its high and massive ramparts, 32 bastions, 10 gates and various defenses. Offering a range of extravagant facilities and services, it is the ideal place to indulge and pamper yourself. 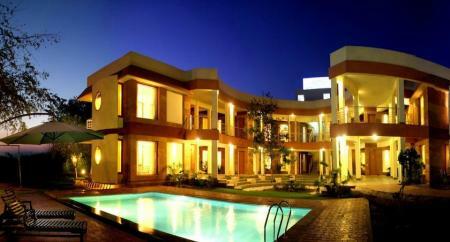 United 21 Royal Resort is a beautiful property, located in the heritage city of Ajmer. Popular tourist spots of Ajmer like Lake Anasagar, Taragarh Fort, Soniji Ki Nasiyan, Lake Foysagar and Chisti Dargah are in close proximity to the resort. 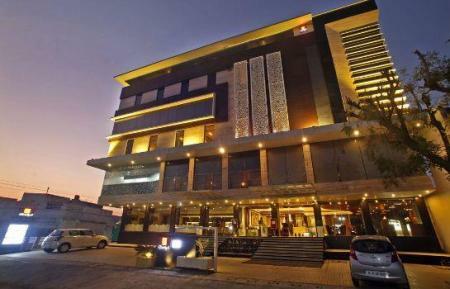 Located strategically on NH 8, the 4 star rated Country Inn and Suites lies just few steps away from Ansal API's Sushant City. Prominent spots close to the hotel include Dargah Sharif (19 km), Pushkar (32 km), Kishangarh (13.8 km) and Mayo College (22 km). Hotel Phool Mahal Palace is situated in the beautiful town of Kishangarh, close to Ajmer. Kishangarh lies on National Highway 8, about 100 km southwest of Jaipur. Built by the Maharaja of Kishangarh Prithee Singh in the 19th century, the erstwhile palace is now a heritage hotel. Hotel Phool Mahal Palace is one of the principle heritage hotels of Rajasthan. Located in the heart of Rajasthan among the Arravalli Ranges, The Badnor Homestay provides an ideal setting. The B&B has its own character and architectural design. It offers an unforgettable experience by way of extraordinary hospitality as per tradition. It is set in a comfortable environment with plenty of lounge areas and views to bring one closer to nature. Horse safaris along with yoga classes can be arranged as per request. Tours are arranged by the staff who are friendly and give suggestions on sight seeing destinations. 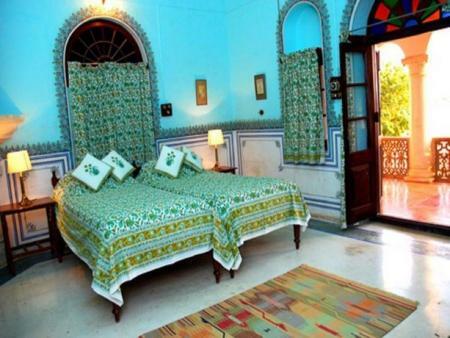 This traditional Rajasthani guest house is 150 years old. Each room holds true to their heritage and contain traditional designs and furniture. The staff are happy to enlighten you with stories from the Inn's ancient history. There is also a game room for those who wish to visit and a guest lounge room for travelers who wish to relax. 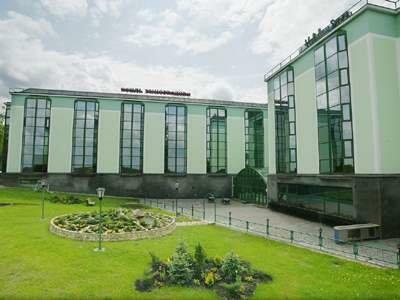 Flourished with contemporary design, the Xenious hotel offers efficiency and comfort. The rooms have a style of their own and are very comfortable. The staff works hard to provide the services you desire. The hotel has a restaurant which is famed for its food. Other amenities include an outdoor pool and a fitness center. Modern styling and architecture teamed with contemporary decorations in the heart of nature, Hotel Chitvan offers a landscape which is ideal for a weekend getaway. The rooms are bright and vibrant, the whole property is airy and well ventilated with a very suitable climate. The hotel has a lounge area and a pool which is perfect for being leisurely. There is also a plush grass lawn for picnics and being lazy. Offering exquisitely designed luxurious tents which are a blend of scientific research, luxury, ambiance and environment friendliness. The goal of this campsite is to bring one closer to nature. While situated out in the desert, The interiors of the tent is no stranger to luxury. 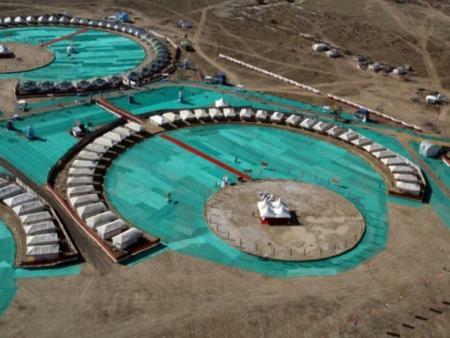 The tents are quite spacious and feature multiple beds, furniture and air cooling units. In this way, one can grow close to nature while still enjoying all the comforts of modern facilities. Praised for its ambiance, this hotel offers a comfortable setting to relax and enjoy. The rooms are luxurious and well designed, the staff attends to your every need and the whole setting is very informal to provide an ideal vacation. 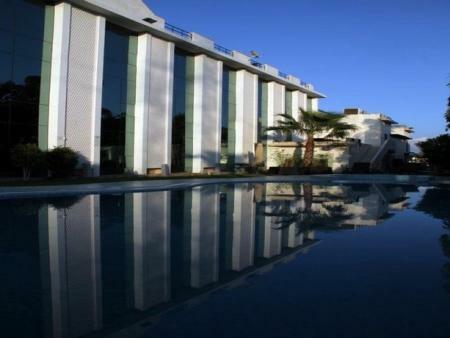 The hotel offers amenities such as an outdoor pool and a restaurant where breakfast is complimentary. Roopangarh Fort is a vast war Fort and has been over 350 years in the making. It has been painstakingly restored and renovated as a heritage hotel, especially for those who enjoy a sense of history and seek a story from the silent walls. Dargah: A major pilgrimage centre for Muslims and some Hindus. Shah Jahan's Mosque- The mosque is one of the most beautiful structures in the Dargah's precinct. It is made out of white marble and delicately carved. The Museum- Once Emperor Akbar's residence, now serveing as a museum which houses a stunning collection of Mughal and Rajput armour along with some fine sculptures from that period. Plenty of dhabas like the Mahadev ka Dhaba located close to Daulat Bagh can be found around the city for decent food at reasonable rates. Hotel Bhola : A well known restaurant which is famous for it's Thalis and other North Indian delicacies. Ajmer has a well known women's market that sells odnis and saris. Well tailored Lenghas are also available. Turbans or Safas are sold in various men's clothing shops. Climate: Ajmer is known to have a semi-arid climate experiencing monsoon between June and September. Summers are known to be hot and humid while winters are known to be mild and temperate. Trivia: Ajmer is known to be antipodal to the remote Chilean island of Isla Sala y Gómez.